If you are going through a divorce, you will want an experienced divorce attorney in Lowell on your side. Divorce issues can become highly contested and personal. This is especially true if there are minor children impacted by the divorce. An attorney as your advocate can work on your difficult legal issues, allowing you to focus on your personal affairs. Divorce. The divorce process itself can be complicated and confusing. If you are the one filing for divorce, you will essentially need to file a lawsuit to end the marriage. Child Custody. 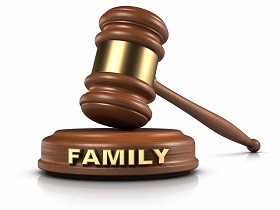 Child custody fights can be especially difficult. A divorce lawyer in Lowell can help you argue for custody. If the other party disagrees, you may need to present evidence and argue why it is in the best interests of the child to live with you. Alimony. In some cases, you may be entitled to alimony or spousal support. For example, if you sacrificed your career or otherwise helped launch the career of your spouse, a divorce attorney in Lowell can explain to you how much alimony you may be owed. Child Support. The amount of child support you can collect typically depends upon the income of the parents and the number of children in the marriage. Property Division. Marital property like your family home, car, bank accounts, and other assets may not to be divided at divorce. Modification. If you are unhappy with any award or order such as for child custody or support, you may be able to seek a modification. A divorce lawyer in Lowell can walk you through the process and arguments to support a modification. Tax Consequences. A divorce can have significant tax repercussions. Talk to your attorney to learn the specific effects in your case. For assistance on a family law or divorce issue, contact a divorce lawyer in Lowell at the Law Office of Bruce A. Gage. You can reach us by calling 978-961-0093. The office of a divorce attorney in Lowell is conveniently located in the Saab Building in downtown Lowell. Our address is 175 Central Street, Suite 219, Lowell, MA 01852.